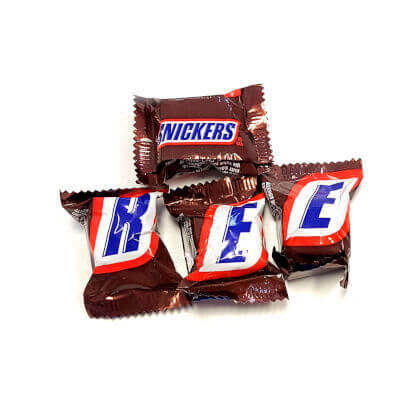 Delicious individually wrapped Snickers in a bite sized form so you can enjoy a few without feeling guilty! Approx. 3 pieces per ounce and 1 inch square. 8 ounce bag.